Just before dawn on a chilly day last September, a volunteer range rider left camp in Marr Flat, a ponderosa-pine plain in northeastern Oregon’s Wallowa County where ranchers run 200 cattle on private land each summer. The cows were due down by month’s end, and the rider was looking for stragglers. Not 30 minutes later, he found something else — the ribcage of a half-eaten calf, gleaming in the sun. When Oregon Department of Fish and Wildlife biologist Pat Matthews came to investigate, he found a carcass ringed by wolf tracks and covered in bite marks. 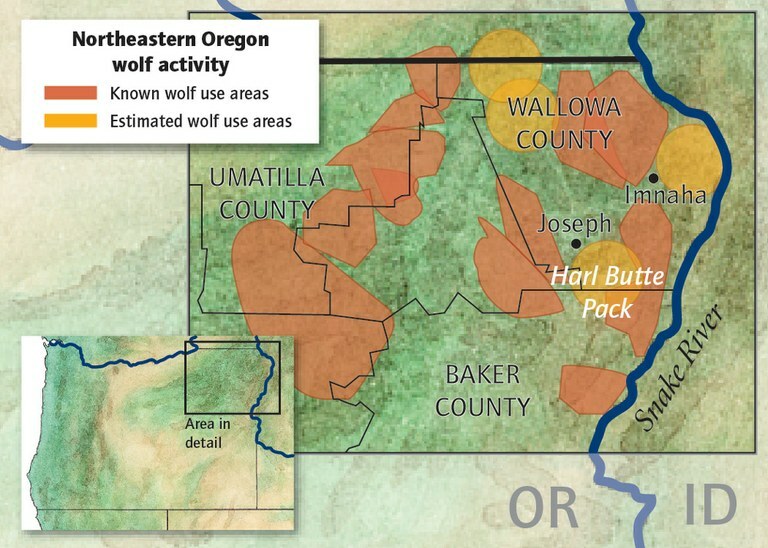 GPS pinpointed a radio-collared member of the Harl Butte Pack nearby. Roblyn Brown, Oregon’s acting wolf coordinator, agreed with Matthews: A wolf had killed the calf. Armed with this information, Todd Nash, its owner, requested and received $930 from the state — the calf’s official value. Oregon, like many states where wolves have made a comeback, has a taxpayer-funded program that compensates ranchers for livestock killed by the predators, offsetting some of the direct costs ranchers bear for their return. In theory, this should also help wolf conservation by encouraging rural areas long at odds with wolves to eventually accept their presence. Before its adoption in 2011, some believed Oregon’s compensation program might be more successful than others in this regard. Oregon’s liberal-leaning urban areas expanded support for wolves’ re-entry, and legislators had years of data and experience to draw on from other Western states where wolves had returned earlier. The program required ranchers to implement nonlethal wolf deterrents in order to be reimbursed — something environmental groups like Portland-based Oregon Wild valued. It also gave rural communities more oversight, and recognized the challenges ranchers face in an already marginal business by adopting provisions for missing livestock. Seven years later, the rate of increase of confirmed livestock kills has remained below the growth rate of the state’s wolf population, which increased from 48 in 2012 to 124 by the end of 2017. Brown believes ranchers are implementing best practices for keeping livestock safe. “Producers are learning from other producers,” she says. But signs of trouble have emerged in the first fully participating counties, suggesting potential pitfalls for other counties as they ramp up the program. In Oregon’s Wallowa and Baker counties, local oversight of loss claims has proven unbalanced or thin in key cases, leading to approval of suspicious compensation requests. Confirmed wolf kills may not have skyrocketed, but missing cattle claims have, far outpacing them. Between 2012 and 2018, the state paid nearly $177,000 for missing livestock in just three counties, more than double the total amount paid for direct losses in the nine counties that have been eligible for compensation. Critics fear the program’s missing-cow allowance is being abused; ranchers counter that the state’s official wolf population — and depredation — numbers are too low. Whatever the reason, such claims have serious implications for both ranchers and wolves. State funding has stayed roughly the same since 2014 — $200,000 every two years, plus a smaller federal grant for preventive measures that the state must match. Increasingly, officials have been forced to cut back on wholly fulfilling missing cattle claims and funding requests for nonlethal deterrents in hopes of stretching the money. And despite everything, ranchers don’t appear any closer to accepting wolves. This raises questions about whether there are better ways to incentivize coexistence, and it shows just how controversial wolves can be — even when all the pieces seem in place to support their return. Wolves first returned to Western states on their own, trickling into Glacier National Park from Canada. In 1985, as the U.S. Fish and Wildlife Service made plans to speed things along by reintroducing 66 gray wolves in Yellowstone National Park and central Idaho, then-National Park Service Director William Mott Jr. reached out to the nonprofit group Defenders of Wildlife. He suggested that a private fund to pay ranchers for livestock losses might help head off tensions. Defenders agreed, and over two decades, as Northern Rockies wolf numbers surpassed 1,600, it paid livestock producers more than $1.3 million. “Having the compensation in place helped get a lot of (ranchers’) fears addressed early on,” says Suzanne Stone, who managed the group’s compensation program from 1999 until its end. By 2010, wolves were stable enough that the feds began to withdraw protections and Defenders ended its payouts. Montana, Arizona, New Mexico, Wyoming, Idaho and Washington filled the gap through state programs, with the help of federal grants and seed funds from Defenders. Not long before, in 2008, wolf pups were born in Oregon’s Wallowa Mountains — the first litter in the state in nearly 60 years. Two years later, the state updated its management plan, offering staged protections to wolves as they returned home. But state law barred Oregon’s Department of Fish and Wildlife from starting a payout program. 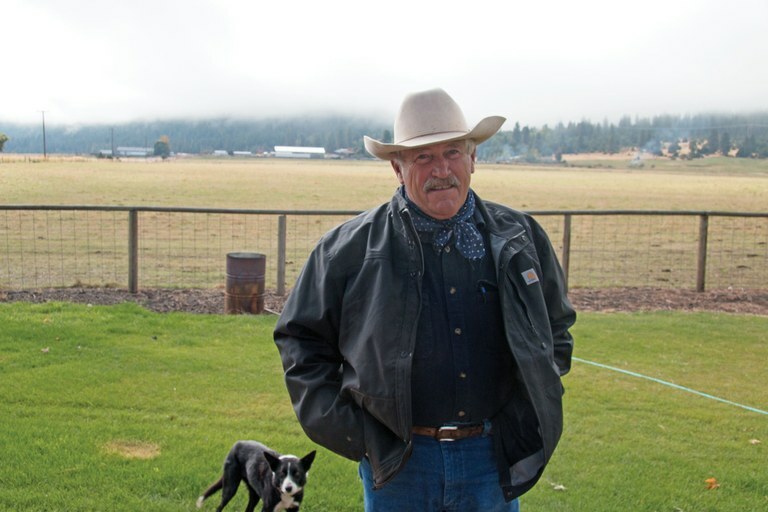 As Wallowa’s wolf population grew, local rancher Dennis Sheehy began looking for ways to protect cattlemen’s interests. Sheehy, a slow talker with bright, crinkly eyes whose life has meandered from Hawaii to Vietnam to a Chinese commune in Inner Mongolia, now runs hundreds of cows in northeastern Oregon, with many grazing up in the Harl Butte area. The trouble with compensating only for confirmed losses, Sheehy told me over coffee at his ranch house near the town of Wallowa, was that the region’s dense forests and rocky canyons were too rugged for ranchers to be able to find all the livestock that wolves may have killed. Paying for missing animals is “about the only way you can have any possibility of accurate compensation out in the Marr Flat, Snake River and Hells Canyon areas,” Sheehy said. The program that Oregon ultimately developed, overseen by the state Department of Agriculture, gave ranchers what Sheehy advocated for. Based on their record-keeping, they would be compensated in full for missing livestock if, after wolves appeared in their area, their losses climbed above their documented historical average. Under the program, county-level wolf committees would vet claims for missing animals and review investigation reports before applying for state grants to cover claims for confirmed losses based on market value. An additional 30 percent of funding over the county’s total annual claimed amount was added to help ranchers pay for deterrents, such as range riders to monitor cows, and fladry, colored flagging that scares wolves away from fence-lines. An Oregon Department of Agriculture official would provide oversight, but authority lay largely with the counties. Sheehy showed me the creased notebook where he tracks his cows. Other ranchers joke that he has fewer losses because his animals wear Alpine-style cowbells, “like Heidi.” So far, he’s requested compensation only twice. That’s true for many ranchers — though some claims stand out. Rancher Dennis Sheehy at his Diamond Prairie Ranch in Enterprise, Oregon. Sheehy helped draft the plan the state later adopted for predation compensation in Oregon. On a blue-sky fall morning, wolf advocate Wally Sykes picked me up in Joseph, Oregon, his wolf-dog hybrid Koda peering from the backseat of his Subaru. Sykes, 72, has a trim white beard and wore a “Wolf Haven” ball cap. We drove into the Wallowa-Whitman National Forest, dodging deer hunters and cows, including two of Sheehy’s belled animals, then hiked through thick pine forest to Marr Meadow, not far from where Todd Nash’s calf was killed two days earlier. A faint howl drifted through the trees. Though Sykes has seen wolves in the wild only a half-dozen times, he’s devoted a lot of time to them, serving seven years on the Wallowa County Wolf Committee. The program’s enabling legislation requires all the committees to include one county commissioner, two livestock producers, two wolf conservation advocates and two county business representatives. But Sykes said Wallowa’s committee is biased by local anti-wolf politics, with the other conservation post historically filled by someone associated with agriculture, not wildlife conservation. Sykes believes that’s led to questionable decisions. In one case, the Wallowa committee approved a $1,000 compensation request and passed it to Jason Barber, the state official who oversees the program, for a calf killed by a wolf while illegally grazing on an allotment the Forest Service had already closed. The state paid the full amount. Neighboring Baker County has been unable to fill its wolf-advocate posts, which are currently empty. In 2016, concerns were raised when the committee agreed to compensate for 41 missing calves and 11 missing cows, valued at more than $45,000. At the time, there had been only one confirmed wolf kill in Baker, in 2012, and, according to the state wildlife department, no pack had yet denned there. That cast doubt on the size of the claim. But the rancher who filed it, Chad DelCurto, said wolves had been active on his allotment for three or four years. Come fall, most of his calves were missing. “I hadn’t had problems in the past, until these wolves started coming in so thick,” DelCurto said. The committee’s response so alarmed Mike Durgan, one of Baker’s business representatives, that he quit. “Nobody believed (DelCurto’s claim) except our committee,” said Durgan. He worried that it signaled a bigger problem: The county lacked a consistent, defensible procedure for obtaining accurate documentation from ranchers. Baker County Commissioner Mark Bennett acknowledged the case had problems, but said DelCurto hadn’t been using that allotment long enough to have historical loss numbers. When Barber began asking questions, the committee revised its ask, and DelCurto ultimately received $9,540. Critics believe the case could embolden others. Ranchers can only receive money for missing livestock if their animals are grazing in areas of known wolf activity — currently eight counties — as designated by the state wildlife department. But wolves are fanning out, and more counties will soon be eligible. One subadult and one pup from the Catherine Pack on private property in eastern Union County, May 2017. In 2018, compensation requests for missing livestock from four counties climbed to $42,000, far outpacing requests for direct losses, which have remained between $7,000 and $18,000 statewide annually. Roblyn Brown, the state’s wolf coordinator, said that she’s not aware of any biological reason for the surge. In theory, places with high missing-cattle claims should more closely track areas that are known to have dense wolf populations or high numbers of confirmed kills. In a case at Baker County’s Pine Valley Ranch, 24 animals disappeared without a trace in fall 2013. The rancher requested more than $26,000. But just one confirmed wolf kill had occurred in the area, a year before. “If the producer is checking his livestock, you would expect the producer, or other people recreating in the area, to find several injured or dead calves to correspond with the missing numbers, if wolves were the cause,” said Brown. The spike isn’t good for either rural residents or for wolves. If wolves are solely responsible, then nonlethal preventive measures aren’t working. That could lead the state to kill more wolves. To date, the state has paid $595,790 in state and federal funds to 13 counties for nonlethal deterrents. But because the enabling legislation that required these deterrents didn’t define what their “reasonable use” would look like, Oregon Wild worries they aren’t being deployed effectively. Fladry works in small pastures, but not large allotments. Wallowa County Commissioner Susan Roberts says the only thing that has worked to keep wolves away there is human presence — the county’s range rider. But that’s just one person for thousands of acres. Another possibility is that some claims are inflated, either unintentionally or deliberately, blaming wolves for animals that disappeared for other reasons. “Wolves would have to do nothing but kill livestock for 24 hours a day to get up to the numbers they’re talking about,” said Defenders’ Stone. And if ranchers are submitting illegitimate, or poorly documented, claims, they’re not just taking money from taxpayers, they may also jeopardize public support for reimbursing ranchers. “That’s the kind of thing that’s going to kill this program,” Durgan said. Some ranchers have another explanation for the discrepancy between missing cattle claims and confirmed kills: They believe there are more wolves in Oregon than acknowledged, and that the wildlife department is attributing actual wolf kills to other causes. They feel betrayed. I met rancher Cynthia Warnock at her home in Imnaha, overlooking rolling hills dotted with Indian paintbrush. She, her husband and brother-in-law have been some of Wallowa’s most frequent claimants for confirmed losses, receiving more than $4,000. In late 2016, when wolves killed one of their calves and maimed two others, the Warnocks asked officials to kill the offenders. They had lost more than four animals in the previous six months to wolves — the number legally required for a lethal removal permit. But the state declined, because the season was almost over and the cows would be moved soon. In another case, Cynthia Warnock found a calf covered in bite marks. But investigators said they weren’t wide enough to be from a wolf and more likely came from a coyote. A month later, the Warnocks found a partially eaten cow, but the state ruled that wolves had scavenged an already-dead carcass. Cynthia didn’t trust the findings; like other ranchers, she felt investigators were biased in favor of the wolves the department is charged with protecting. Producers want Wildlife Services, which handles many rancher-wildlife conflicts, often by killing predators, to take over. Phase three of Oregon’s wolf management plan, which eastern Oregon entered in 2017, does allow Wildlife Services to conduct investigations once staff complete required training. That prospect worries Oregon Wild’s Rob Klavins. Roughly a quarter of Wildlife Services’ budget in Oregon comes from livestock and agricultural producers. “There’s an incentive to make a different decision,” Klavins said. And with such investigations ultimately leading not just to a payout, but deciding if wolves will live or die, the stakes are high. Dean Tucker, cow boss at the Pine Valley Ranch, left, and rancher Chad DelCurto talk wolves at Tucker’s place in Richland, Oregon. In 2016, DelCurto filed a claim for 11 missing cows and 41 missing calves. The state ultimately paid $9,540 of his claim, which had an estimated value of $45,000. Oregon’s compensation program doesn’t appear any closer to achieving local tolerance for wolves — one of its key goals. If it had, you’d expect to see fewer requests for lethal removal and a decrease in poaching, said Adrian Treves, director of the Carnivore Coexistence Lab at the University of Wisconsin-Madison. In 2017, after eastern Oregon passed a population threshold where the state’s plan begins to relax protections, officials killed five wolves at ranchers’ behest — the same number killed in 2016 — despite far fewer confirmed livestock losses. An additional four wolves may have been poached. Oregon’s troubles raise questions about whether there are better ways to proceed. Some wolf advocates argue that high-conflict areas just aren’t appropriate for grazing, and recommend paying ranchers to give up those permits, rather than killing native predators to save nonnative livestock on public land. Others suggest paying ranchers if wolves pass through their private grazing allotments — to reward them for maintaining a healthy ecosystem. That would eliminate the moral hazard posed by programs that depend on hard-to-document, emotionally fraught losses. The U.S. Fish and Wildlife Service is trying something similar with the Mexican gray wolf in Arizona and New Mexico. In addition to receiving money for confirmed losses, ranchers are paid based on the number of wolves on their private land and public leases, the number of livestock exposed to wolves, and the rancher’s efforts to avoid conflicts. But the program has received just a third of its proposed $634,000 budget. “The funding issue is the biggest challenge,” said John Oakleaf, the agency’s field coordinator for the Mexican Gray Wolf Recovery Project. Several people are working on possible fixes. Oregon state Sen. Greg Barreto, R, introduced a bill last year that would put more money in the compensation fund based on wolf population increases. And Barber has been working with the county committees to improve claim documentation. One approach might be to have an independent third party verify the number of animals before ranchers let them loose on their range for the season. 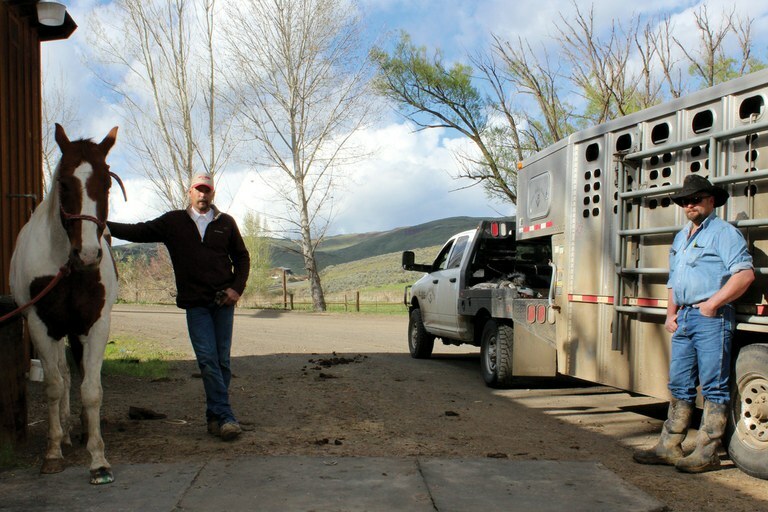 Chad DelCurto said he did that this year, with the chairman of the Oregon Cattlemen’s Association Eastern Oregon Wolf Committee present to help count calves in his corral. “We’ve got more eyes and witnesses on,” said DelCurto, who has become more hesitant to apply for compensation since the last time. 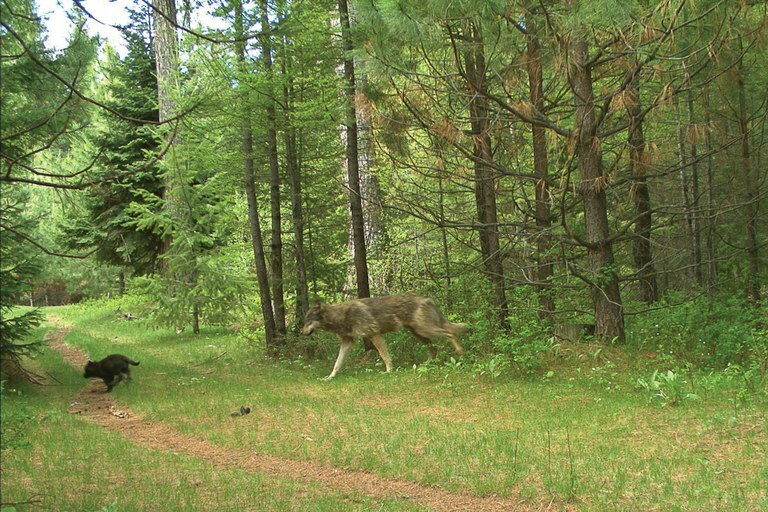 He didn’t file any claims for the animals he says went missing in 2017, even though at the end of the year, Oregon confirmed that Baker County had its first pack, the eight-wolf Pine Creek Pack. “It’s not just a hearsay deal,” DelCurto said. “We have a problem.” Less than 48 hours after DelCurto turned out his herds this spring, he said, a turkey hunter spotted wolves among his cows. Despite using nonlethal deterrents, burying bone piles, and hazing wolves away, DelCurto and another rancher still lost four calves to the pack this spring. They asked for a lethal control permit. In April, the wildlife department shot and killed three of the Pine Creek wolves.